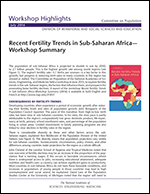 This report is the summary of a workshop held in June 2015 that explored the determinants and consequences of fertility trends in sub-Saharan Africa to better understand factors that may explain the pace of fertility decline in the region. The workshop was organized to explore fertility trends, their proximate determinants, the status and impact of family planning programs, and prospects for further reducing fertility. Fertility rates in many sub-Saharan African countries are high: the total fertility rate (TFR) for the region is estimated to be 5.1 births per woman, and rates that had begun to decline in some countries in the region have stalled. By comparison, fertility rates in developing nations in Asia and Latin America declined more rapidly during the 1970s and are currently 2.5 and 2.2 births per woman, respectively. High rates of fertility in the sub-Saharan African countries contribute to continued rapid population growth: the United Nations projects that the region’s population will increase by 1.2 billion by 2050, the highest growth among the regions for which there are projections. Fertility rates and population growth may influence economic development. Slower population growth may provide a window of opportunity for economic growth. 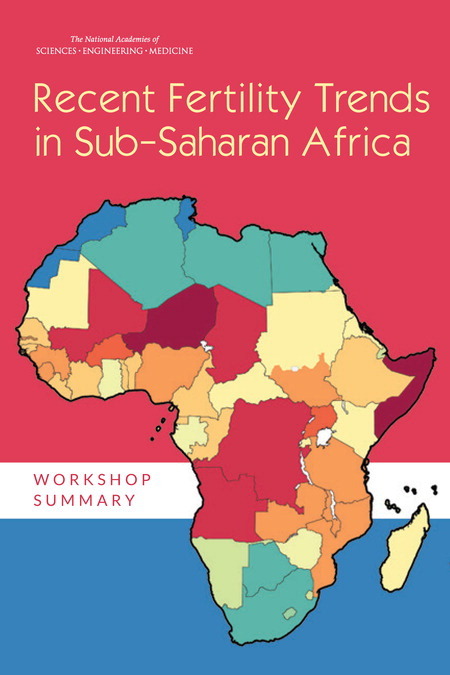 However, to the extent that this relationship exists, for many sub-Saharan African nations, this window has not yet opened because fertility rates have not declined as rapidly there as elsewhere.